A straight-lasted Ghillie popular with Highland Dancers who prefer an open front look with feature white stitching and eyelets. 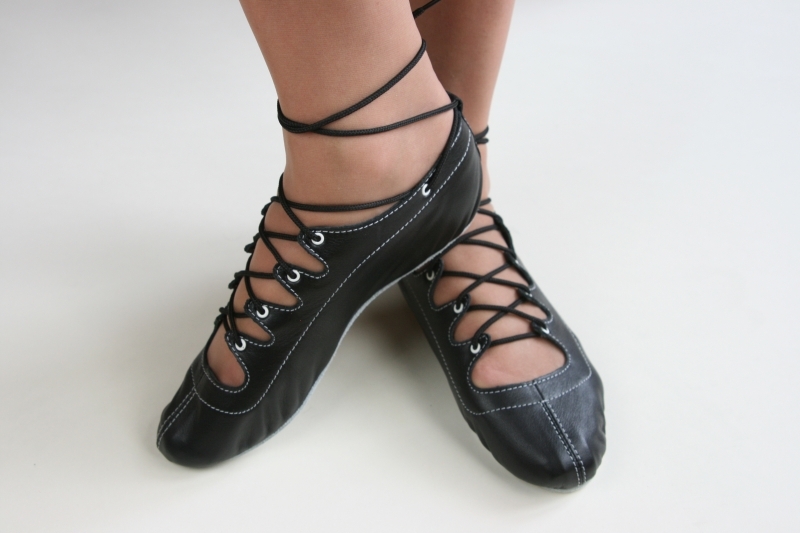 By popular demand this style is now also available with a front toe loop - see image. Extensive size range from Child 9 - Adult 10 in half sizes. Scottish Country Dancers should refer to our Sizing and Fit guide.